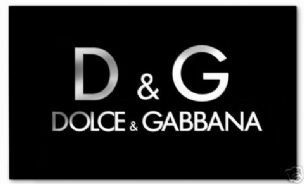 For those seeking to exude a metropolitan glamour, D&G watches presents a fantastic opportunity to own an eclectic and contemporary brand that has been inextricably linked to the expression of today’s fast-paced ever-changing world. It is a style without borders, which freely interprets the various influences of its own era, to create for the wearer a passport to a unique and instantly recognisable lifestyle. Since the launch of D&G Time at the turn of the millennium, D&G watches are known for their connection to urban youth culture with stars such as fast-rising ‘X Factor’ sensation Alexandra Burke counting themselves as fans. The uniquely styled brand has always stood out for its originality and unconventionality to become an authentic mass phenomenon and a symbol of the young people, who live life without boundaries and restriction.